The China International Optoelectronic Exposition (CIOE) is the world’s largest exhibition serving the optics & photonics industry. 2017 was Äpre Instruments first occasion to actively participate and exhibit at CIOE. 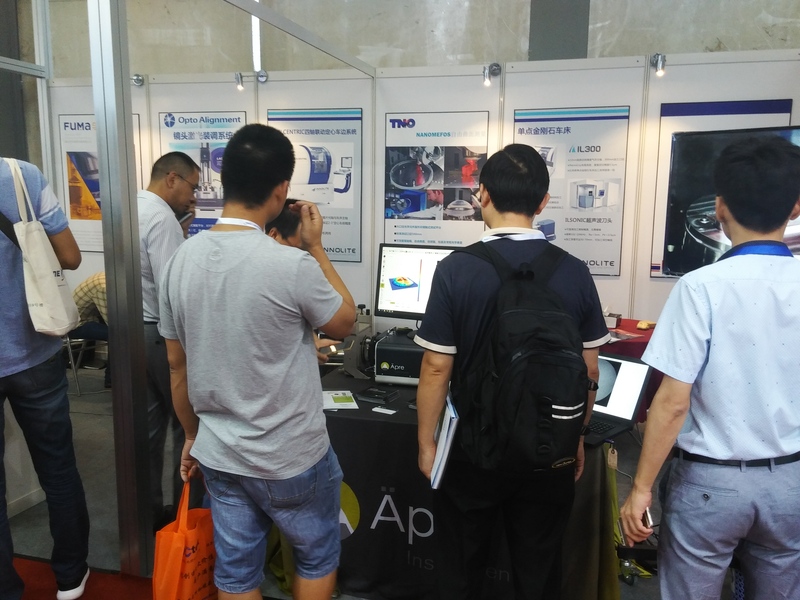 With more than 60,000 visitors attending CIOE over the four days of the exhibition, booth traffic was heavy every day and there was tremendous interest shown in ÄPRE’s high performance S-Series interferometers, Reveal Software and our new SCI technology. Optics professionals from the world over were in attendance at CIOE and all found it helpful, positive and refreshing to visit with APRE and learn that there is a company addressing the needs and requirements for high performance – high precision optical metrology and interferometry. With a new Chinese distributor, Chongqing Fuma Precision Equipment Company, growing interferometer sales in China and our well-received participation at CIOE, it is safe to say Äpre Instruments is now well positioned for solid business growth in China.